two screws (5) and remove contact assembly (4). lock washer (10) and remove capacitor (7). points if worn or badly pitted. tor if unable to test. burned or pitted contacts, and carbon streaks. screws (5). Do not tighten lock screw. 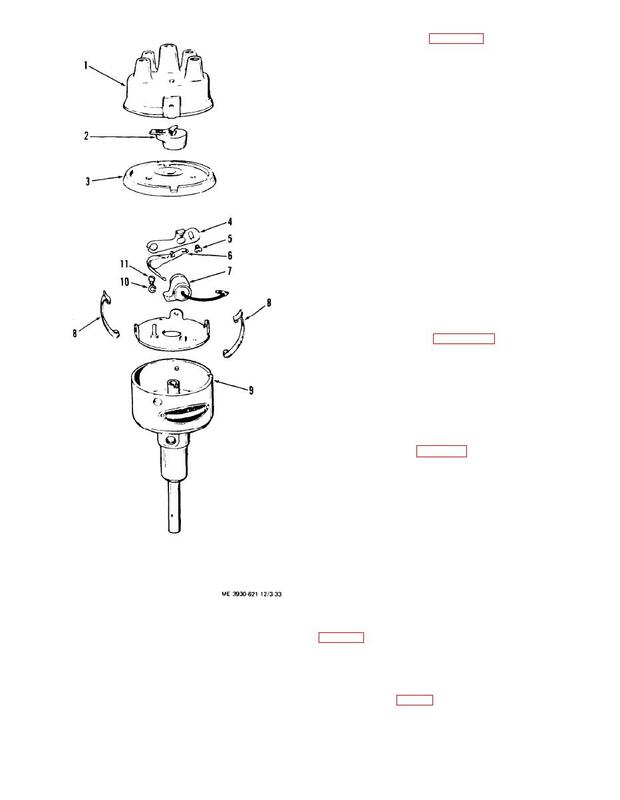 (3) Install breaker lever (6) on pin. (4) Install dust cover (3) and rotor (2). (1) Install ignition distributor in drive assembly. cable, adjust point gap (g below). cable in distributor cap sockets. ence line at the center of the timing hole.